Renaissance costumes in 1580. 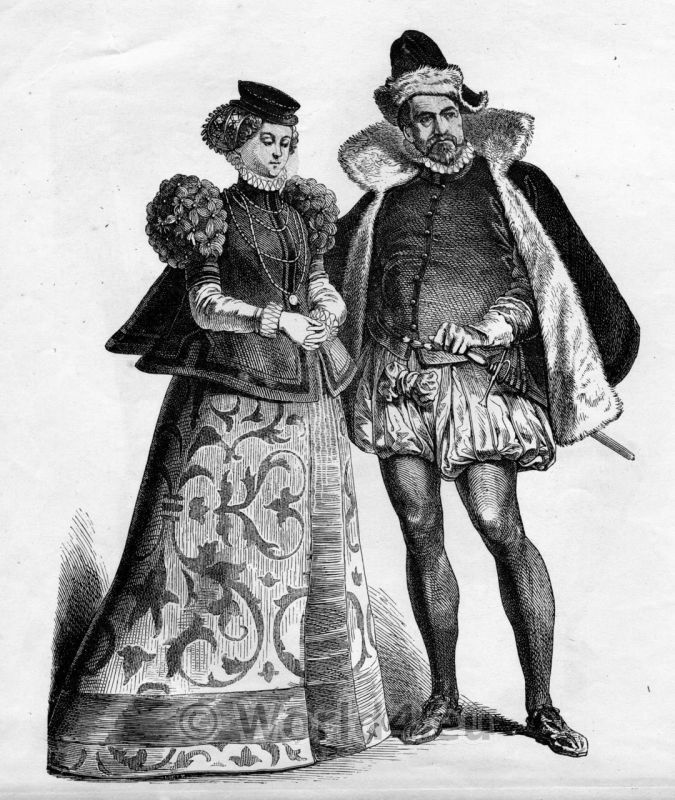 Fashion of German Nobility (Palatinate), 16th Century. This entry was posted in 1580, 16th Century, Court dress, Germany, Hairstyle, Headdresses, Middle Ages, Nobility, Renaissance and tagged Beret, Camisole, Renaissance fashion era, Renaissance female clothing, Renaissance male clothing on 4/13/13 by world4.